Today, more and more video security cameras are increasingly connected to the internet and transitioning into intelligent sensors that collect significantly more data than video security images alone. However, as this level of connectivity and collection of business-sensitive data becomes more widespread, the threat from cybercrime also rises. This is clearly an issue that affects everyone. After all, nobody is immune from cybercrime, not even the experts, which raises the question: What is the viewpoint of the experts when it comes to data security? Geoff Kohl, Senior Director of Marketing for the Security Industry Association, was keen to get the opinions of those who are experiencing the current situation with regard to data protection, and its impact on video security, first-hand. What follows is an outline of Geoff’s discussion with Gregor Schlechtriem, Senior Vice President business unit Security of Bosch Building Technologies, a global player in video surveillance, and Pierre Racz, CEO of Genetec, who are world-renowned for their software in the safety and security domain. The introduction of a key statistic started the conversation: by 2025, it is expected that 75 billion devices will be connected to the Internet. Clearly, this also impacts video security as it is no longer isolated and part of a ‘closed’ system; it has become part of the IoT. Therefore, our focus cannot remain solely on image quality and the reduction of bitrates; equal prominence must be given to data security. According to the experts, data security starts with an end-to-end solution. For example, the consequences of having an unprotected computer inside your firewall are immeasurable; it’s like an open door to cyber criminals. To successfully minimize the risks the complete video security infrastructure needs to be considered, rather than single components. 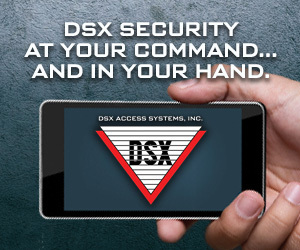 This is a key advantage of an end-to-end security system that eliminates potential weak links. So, end-to-end data security solutions have their advocates, but what makes them so persuasive, and effective? 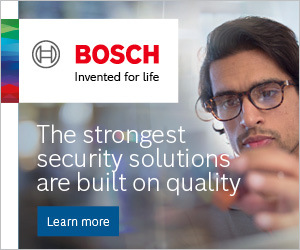 Well, solutions such as those developed by Bosch and Genetec are designed to safeguard communication between trusted devices, ensure that video in transit (streamed) or in storage remains encrypted and any commands and configurations to control cameras and other devices are transmitted via a secure channel (HTTPS). In what ways can more focus be applied to data security? 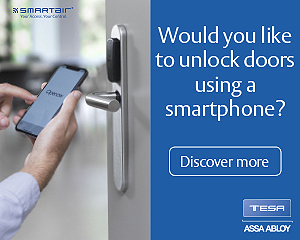 Although the basic task of video security systems remains unchanged, new technologies are consistently being introduced that offer new possibilities. An example of this is IP technology which, when combined with the increasing computation power, enables video security cameras to capture images of a quality that was previously unimaginable. According to Gregor Schlechtriem, “As the industry moves to delivering great image quality it creates new challenges, like how to intelligently manage the massive influx of data. On the other hand, video security devices connected to the internet and the wealth of their collective data is a fantastic enabler for new opportunities.” He is also of the opinion that video security data should be viewed as business tool that provides insights to improve efficiency, increase security or create new business opportunities. It is clear that, compared to the earlier days, other departments, like marketing, are getting more interested in video security data. Meanwhile, as CEO of Genetec, Pierre Racz confirms that video security has undergone substantial changes and offer limitless possibilities. The change to a digital (IP) infrastructure enables the use of video analytics that deliver metadata. This metadata adds sense and structure to video data and provides metrics such as speed, direction, color, size, object class and trajectory. The result of this enriched, more business-focused video data collection is a deeper level of business intelligence. Gregor Schlechtriem is only too aware that this level of connectivity also brings a higher level of risk, “Because there is valuable information included in videos we have to focus more on data security, and think beyond the basic tasks of a security system.” Pierre agrees. The consequences of being hacked are clearly front of mind for him, “If we turn on the news today we can see the circus that has resulted from the global chaos caused by a recent cyber-breach.” By focusing on minimizing these risks, Pierre believes that IoT and the technology enabling us to collect and interpret video data will outweigh the risks and provide improvements in health, and wealth. The key learning here is that a digital infrastructure and connectivity opens up countless opportunities, as expressed by Gregor Schlechtriem, “It is the enabler to generate valuable data for your business, to understand what’s going on with video analytics at the edge and derive invaluable data for situational awareness to improve your business. If you don’t use IP, you miss out.” Pierre Racz agrees, “Compared to video cassettes we can provide so much more value with the kind of technology that can be initially utilized for security, but then leveraged for operational efficiency and even shared with other departments, such as marketing.” He also believes that, although the economic lifetime of analog equipment is almost double that of digital equipment, analog is a low pass filter, so image quality is limited to standards established in 1937. As Geoff concludes the interview and the various opinions are assessed, it’s clear that the end-to-end data security solutions such as those employed by Bosch and Genetec are the way forward for video data security.